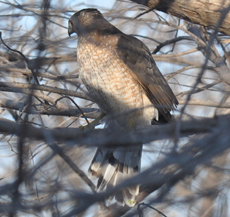 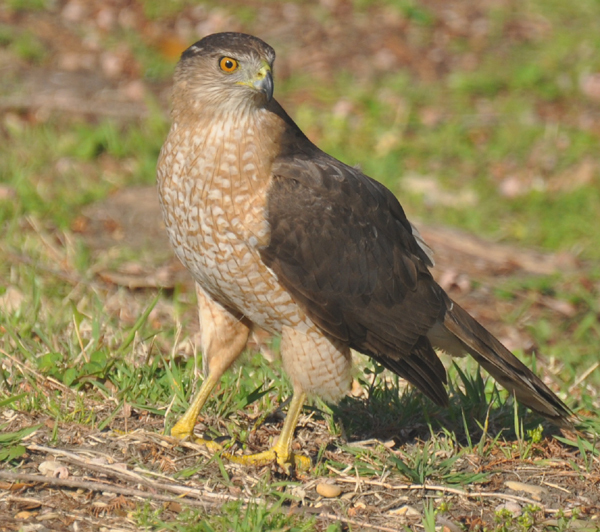 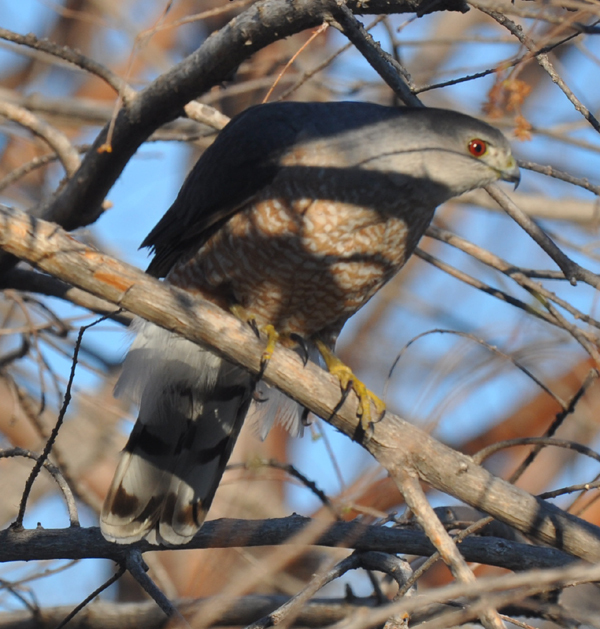 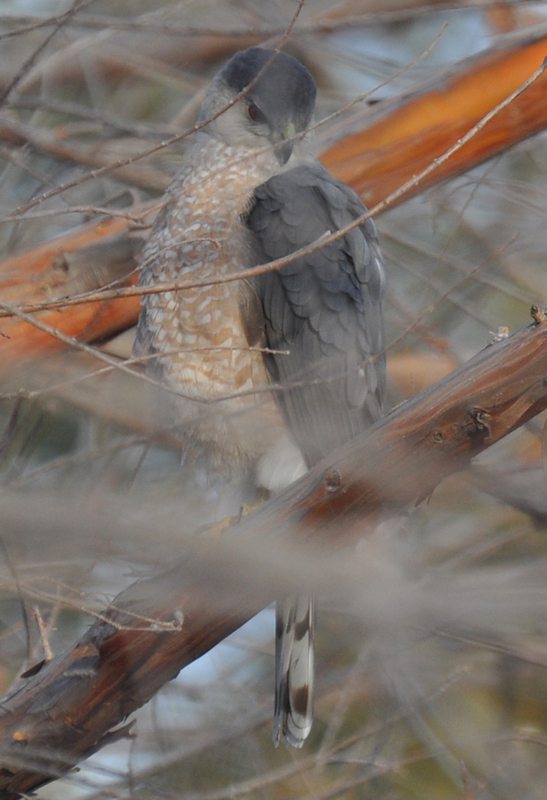 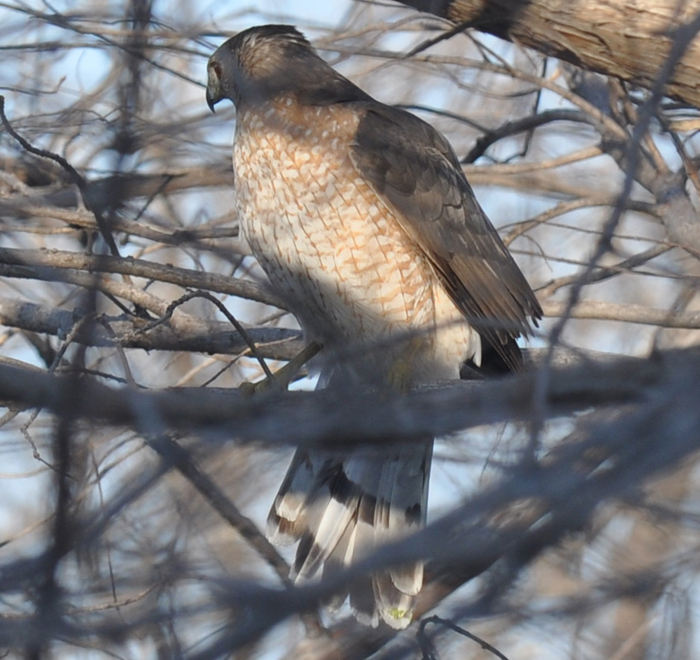 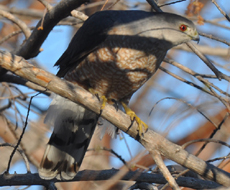 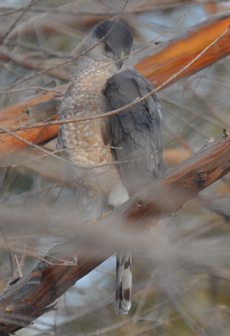 Look for the Cooper's hawk in early springtime, flying to the ground for sticks. 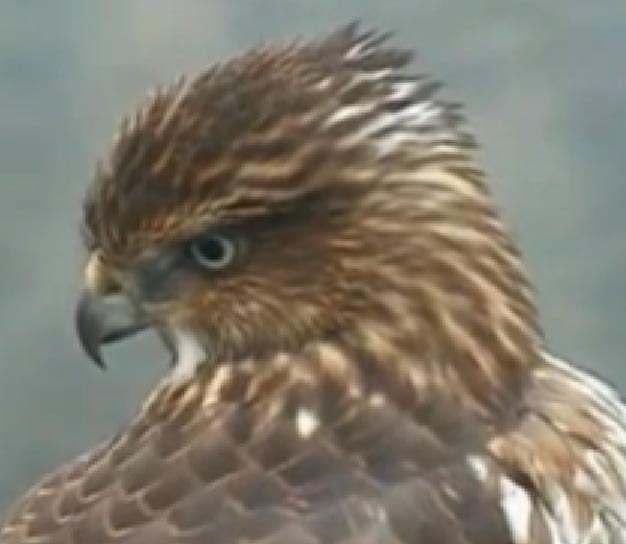 Listen for his call "kek-kek-kek." 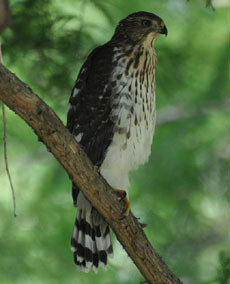 Be alert for the cry of other birds when he is near. a black "cap" or "beret"